Inspired by the elegant design of the 1950s, the automatic Clifton 10150 with 38 hours power reserve catches the eye. 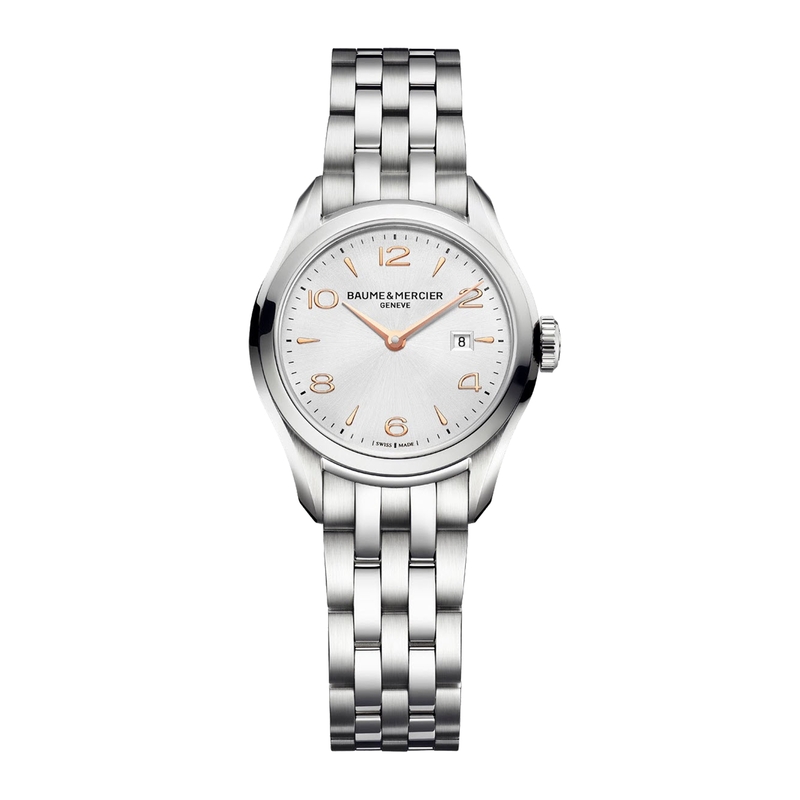 The polished stainless steel case presents the silver-tone sun satin-finished dial. The date field is located at three o'clock. The hour markers and Arabic numerals are presented as gold-tone appliques, the dauphine hands feature gold-tone as well. A steel bracelet with brushed and polished finish and a folding buckle adds the finishing touch.